Before committing your funds to a passive property development project, make sure you haven't set yourself up for failure. You may be familiar with the the term "passive" property development? Passive development refers to a popular investment strategy whereby you supply capital to a property developer - usually they have considerable expertise and experience - who then develops a project which manufactures equity for you without relying on natural market forces for capital growth. Some might say it's an ideal investment formula for a flat or downward trending market cycle. a discount of say 20% on the retail price of a completed property in the project. What makes this form of real estate investing potentially very powerful is the lower reliance on natural property market forces to deliver gains. The gains are 'manufactured' regardless of the state of the property market. "Regardless of the state of the property?" I hear you thinking. The reality is owner-occupiers are still very active in the market and experienced investors are still acquiring new property with the important proviso that they are positively geared and very well located for great capital growth - something that is possible with passive development. It's not surprising some investors are waiting to see where the property market is heading in the near term. The media headlines have created an element of fear which has stopped some "everyday"investors from taking action. Sophisticated investors love this fear and property developers are licking their lips because now is a good time to lift profits because owners of development sites are feeding off this negative sentiment and dropping their prices, builders and tradies are reducing their fees, council staff have fewer development applications to approve so the DA process is speeding up, their is plenty of capital in the market looking for a good return etc etc. ...making money in any market condition is no longer the sole domain of the 'big end of town' and wealthy developers thanks to the internet bringing crowdfunding opportunities to the masses. The 8 common risks to avoid before investing in passive property development. The reality, in my experience, is when one or more of these critical success factors are not met, then returns are impacted. Sometimes severely. Your returns are dependent on enough sales occurring to support the profit assumptions. For example, I'm back a new passive development offer of a 30% fixed dividend based on the sales of 20 home sites in the centre of Port Macquarie, NSW. The returns are based on the average sale price being $1,075,000 with the primary buyer being local and interstate owner-occupiers. If the completed properties were targeted at investors, I wouldn't have looked at it (more about this another article perhaps). The first question that came to mind is "how do I know there are enough buyers at this specific price?" What if the most in demand price bracket for houses in PMQ is $500k and not over $1m? How do I confirm the price and market size is sufficient to absorb all these new lots? I was able to confirm on PriceFinder.com.au (used by industry professionals) that the project asking prices sit within one of the dominant price segments for new homes in Port Macquarie (PMQ). Interestingly, the dominant price segment was $300k followed by upmarket properties in the $900k-$2m combined segment. What this means is I know - if the data is to be believed - that there is a lot of sales turnover in the price bracket the developer is targeting. This is so important! get 30% fixed return in 12-14 months. What's the dominant price segment in the area? Do your prices in the project sit within the dominant price segment for the area? If not, why do you think you'll get the prices you need to generate the returns on offer? Even if the finished House & Land packages are priced correctly, the returns are also based on selling a sufficient number of properties in an agreed time period. This is obvious and crucial but often overlooked by investors considering passive (aka armchair development) investing. If the number of sales required are not achieved, then don't expect the promised returns. For example: The 30% returns paid in 12-14 months in our PMQ project requires 20 land lot sales within ... well 12-14 months. We know the price is right (most dominant pricing segment) but can the market absorb this many new homes in this time period? Part of the answer lies in PriceFinder.com which indicates that 89 properties were sold in PMQ in 2018 with about 25 sales alone in our price bracket. ...and with virtually no competing stock left on the market in this price range, it looks like the PMQ has sufficient demand particularly given the established, central location of the site with the extensive sea views. What is the historical sales volume in the area at the proposed price point? Are there similar projects coming online soon that may compete for your buyers? When time is of the essence, you want to make sure the sales process begins at the beginning of the peak selling period for the area. If the developer says the sales period will take up to 6 months of the 12 month estimated investment timeframe, for example, but it ends up taking 12 months; your annualised return has effectively halved due to the addition of 6 months to the investment return calculation. What is the peak selling period for the area and how closely does the sales plan match this? If you miss the peak selling period, what impact will this have on the time it takes to sell the required lots/units/houses and what will the annualised return be then? An annualised return is the average amount of money earned by an investment each year over a given time period and does not give any indication of the risks and volatility of returns. Example: "PMQ offer #2": 30% Fixed Dividend over estimated 12-14 months (time to sell 20 lots). Annualised return is 30% / 14mths = 26%. If the project takes 12 months then the annualised return is 30%/12 = 30%. The longer the project goes over the estimated time timeframe, the lower the annualised returns. This might sound obvious but if the ratio of demand to supply for properties in the area is low, then clearly there's no point even reading the offer document. The biggest challenge for most investors, however, is calculating the ratio of demand to supply. Fortunately, I created Boomtown (aka Boomscore) about 8 years ago to measure the demand-supply ratio for units and houses in over 15,000 suburbs. It does this by examining 8 leading supply and demand indicators across various public data sources including the property portals, ABS data etc. 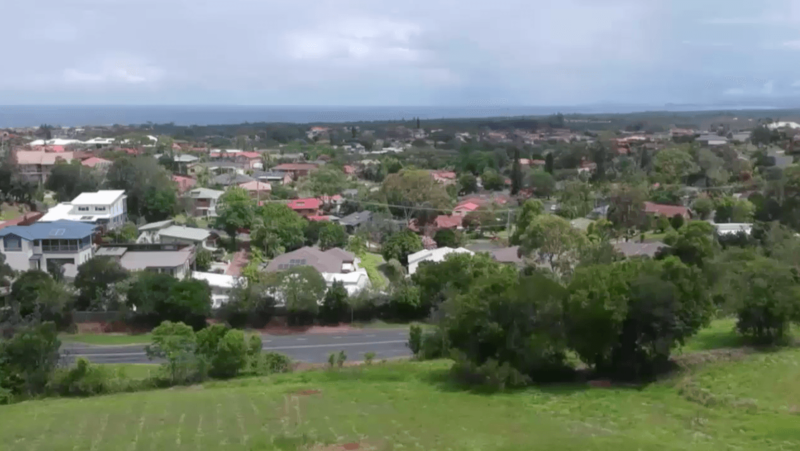 Boomscore says "Port Macquarie, NSW, Houses" is a 'Healthy Market' and "There is little driving capital growth so expect prices to remain flat or increase while sellers are in no panic and buyers are making decent offers. Expect growth to marginally exceed the national average." This is perfect - prices in the area will likely remain steady (or "flat") - I checked the 3 year price chart to confirm this - with any future price increase being a bonus to the buyers. This means the profitability of the project is more predictable given pricing is core to the feasibility calculations. What's the ratio of demand to supply for houses/unit in the area? Is this ratio stable or is demand/supply deteriorating/improving? RISK #5 - LOCATION HAS A HIGH STOCK ON MARKET PERCENTAGE. It's important to know what percentage of properties in the area are for sale relative to the total number of properties in the location. Let's say there are only 10 properties for sale in our target location. Most local markets can handle 10 sales quite quickly. But if there were only 20 properties in the whole suburb you'd have to wonder why 50% of the total properties in the area are for sale. The stock on the market as a percentage of all properties is an important supply indicator and can be obtained from Boomtown (aka Boomscore). The SOM% tells us how many properties are for sale relative to the total number of properties in the area. The lower this percentage the better. For example, the SOM% for similar properties coming out of our latest PMQ project make up less than 0.01% of similar properties for sale in PMQ. With demand high and supply of similar stock low, now I am even more confident the number of sales and time to sell will be sufficient to meet the 30% fixed dividend payment in 12-14 months. Note - ideally the SOM% should be trending downward meaning there will be even fewer competing properties for sale when sales in the PMQ project commence. The hard data suggests this will be the case. What is the stock on market as a percentage of all properties in the area? How does the SOM% indicator compare to the State average and is it changing? The Vendor Discounting (VD) indicator in Boomscore measures the average percentage drop in prices from the initial advertised listing price. In a hot market the VD can be a negative number if buyers pay more than the original asking price. In a soft market, the VD can quickly become a positive number e.g. a 10% discount. If the developer is selling the average property in a market where the average vendor discounting is 10%, then buyers might expect a 10% discount on the listed price, not so? This could reduce the overall project revenue significantly with a big impact on your actual returns. Ideally the vendor discounting in the project location is trending downward. What is the average vendor discounting for the area? Is it trending up or down? Why would buyers not discount your properties by X% (the Vendor discounting)? Using the PMQ project again, we know the dominant price segment matches the price list, we know the sales volume in the PMQ market is sufficient to meet the estimated revenue. Now we need to check if the 'average time on market' for houses in PMQ matches the developers assumptions on how long it might take to sell the completed housing lots and, therefore, how quickly we are likely to get our capital and returns back. Again, I check Boomscore and can see the average time it takes to sell a property in PMQ is 72 days (March 2019). Obviously those properties that are "above average" will sell faster and vice-versa. I also know that the homes coming out of this project are not the 'average'. They are centrally located with those amazing sea views and with few comparable alternatives for existing buyers. By combining all the market and data indicators into my assessment - indicators that are fact based and void of personal bias - it becomes difficult for the "conservative skeptic" in me to lament the perceived, media sensationalised dangers of the current market when considering a passive development investment. What is the average number of days properties sit on the market in the area? Is this similar to the sales period you have in the project plan? Let's say the profit pool of $10m in the PMQ project halved to $5m for whatever reason. If you were sharing the profits, your profit of 30% would now be halved to 15%. Let's say prices also dropped by 10% bringing overall profits down from $5m to $3m. What would this do to your returns? Given the risks, in this scenario, you'd be better off leaving your spare cash in your mortgage offset account and saving the interest charges? Instead of sharing the profits and losses equally (like a joint venture partner), why not get your returns paid first? Paid in priority over the developers share of the profits. Payment of your returns ahead of other investors changes everything. In the PMQ project - in the unlikely event all the facts and data used above to 'prove' the project were incorrect and profits slipped considerably - my investors will still get their combined returns of $1,5m paid first out of the profit pool assuming the profits dropped all the way down from $10m to $1.5m - a disaster for the developer. How is this offer structured to protect my profit share/dividend/returns? By how much would profits have to drop before my returns are affected? By how much would profits have to drop before I lose some or all of my capital? Investing in passive property development projects can be undoubtedly very lucrative. You get to partner with someone who has vastly more experience and has access to the kind of profitable development sites wannabe developers simply never see, despite what the "property development educators" will have them believe. When you understand some of the key risks, and how to mitigate them, you put yourself in a good position to invest with confidence. In the 10 years I have been analysing and recommending passive developments, I also have also witnessed both fraud and failure. I just wish I had the tools and experience then that I now bring to analysing projects for my friends, my family and my long term clients..
Avoid these 8 common risks/mistakes and you are already ahead of the pack. Michael created Boomscore to identify the country’s hottest investment suburbs without spending countless hours searching, sorting and analysing vast amounts of property information. Michael also shares the wealth generated in highly profitable property developments he identifies for himself and his closed group of co-investors.